For some of you this article may appear premature with the sun still shining, the days remaining comfortably warm and the idea of winter feeling so far away as to not be worth considering right now. However, since we’re aware of how quickly the seasons can change from sunny and bright to grey and cold in one night, we’ve decided to prepare. We’re running through some of the finest examples of outerwear available for AW14; covering a variety of brands, styles and budgets. So when you first feel the cold start to bite at your skin, you’re ready to throw one of these on and brave the elements in style. We featured Oliver Spencer in our article about the menswear brands to watch in AW14 so it only made sense for us to mention of the standout products in their fantastic outerwear range. Inspired by Freud and reminiscent of styles incorporated in films like Eastern Promises this is a classically elegant mac that is as timeless as it is beautiful. We’ve mentioned belted coats as one of the main themes for this year’s Autumn/Winter season and this only proves our point. Capable of braving the wettest and windiest of winter days, this will protect you against the cold and keep you looking sharp. Zara have become a favourite of ours at The Male Stylist, delivering designer elegance and high street prices and this is no exception. Their short parka is no exception as it exudes sharp, sophisticated style with a “James Dean-esque” flair thanks to the lapel and biker elements. We love it for its contemporary designs and smart-casual nature. Open or closed it looks rogue-ish without appearing immature, a perfect union of gentleman and renegade and at £45 it’s a bargain. Reiss have always been renowned for providing classic styles with modern design elements and this jacket only proves the point. 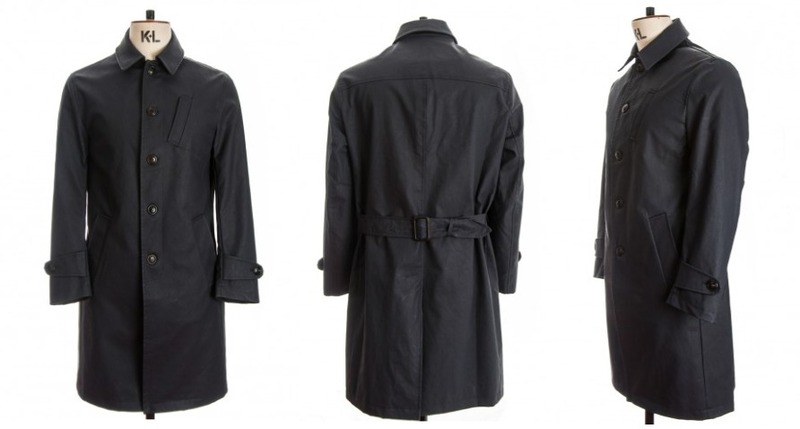 Another belted coat that provides shape and a fitted look to the wearer, it is defines the beauty of simplicity. When worn open it maintains much of its fitted structure around the body and looks great worn with a t-shirt or shirt. Certainly one to watch if you don’t want a long winter coat for the colder months. We have so many positive things to say about this coat, the design is beautiful yet classically masculine, the material and colour is perfect, the fit is stunning and even the lining compliments the overall piece. It is a wonderful piece within Ted Baker’s fantastic AW14 collection and has already made our wishlist for this winter. For any gentleman who is looking for a coat that is likely to stay in style for years to come, this is one we firmly recommend. 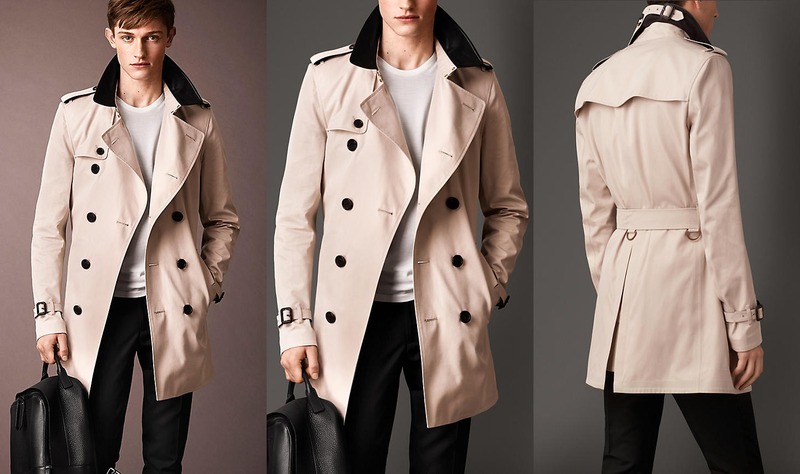 It’s almost impossible for us to have discussed belted coats and trench coats without putting in an entry from Burberry. Masters of trench coat design and a brand that evokes high quality with great craftsmanship their styles are timeless and always beautiful. This season, as they celebrate their 100th year of trench coat design, our favourite item from their range is this beautiful coat complete with leather collar to provide an elegant contrast to the rest of the design. 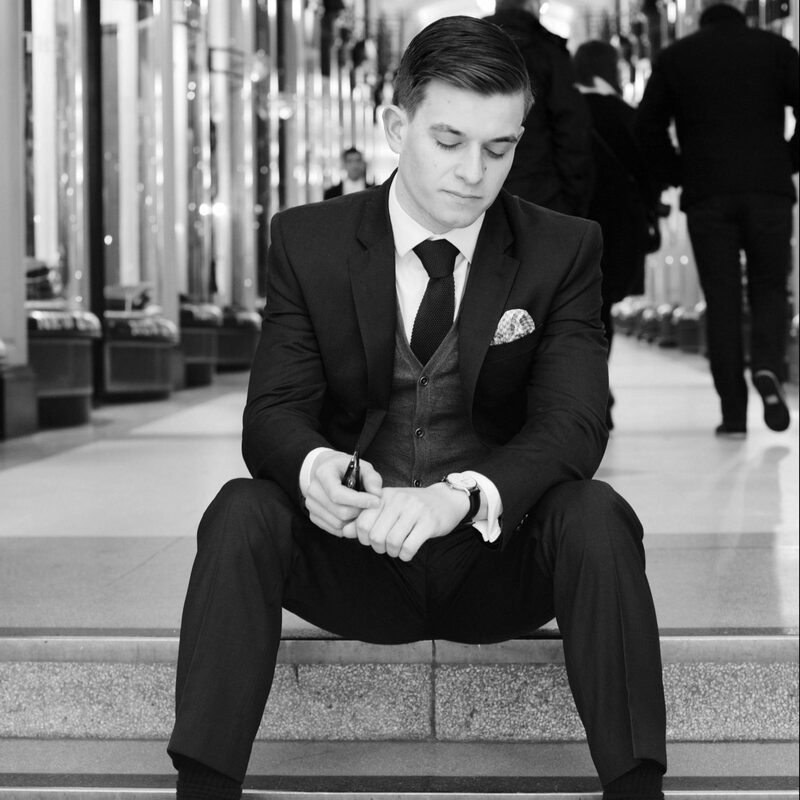 Worn open or closed it is the epitome of gentleman’s style and is reminiscent of Don Draper’s raincoat, whilst the slightly shorter length and slimmer cut creates an overall contemporary feel. A great addition to any gents wardrobe and one that will last a lifetime. Well those are our 5 favourite men’s coats for Autmun/Winter 2014, so go check them out and tell us what you think. As usual if you’ve enjoyed the article then feel free to comment, like and/or share with your friends/followers. If you have any contributions you want to share then leave them in the comments below. Don’t forget to subscribe for new posts and competitions as they go live!